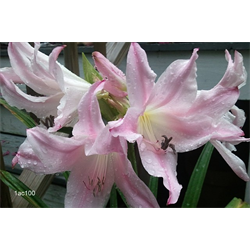 Crinum moorei x Amaryllis belladonna. These Amarcrinum bulbs bloom in late summer to fall. Pricing is per each and per variety for these Crinum bulbs for sale (quantity discounts apply).